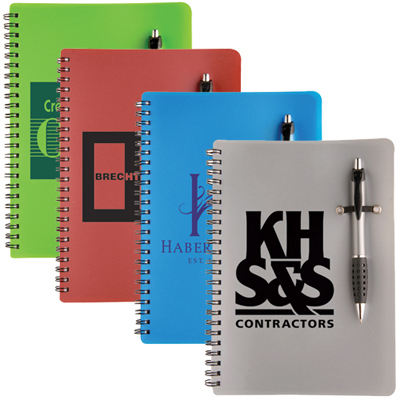 Sturdy spiral-bound notebooks are always handy, and having one that’s well designed and has a matching pen with an elastic pen-holder only sweetens the deal. 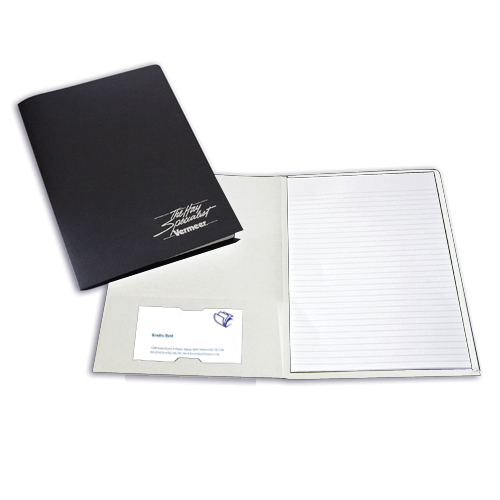 The Alchemy Notebook Combo puts together a promotional notebook with an attractive, matching pen, and your logo on the front cover. 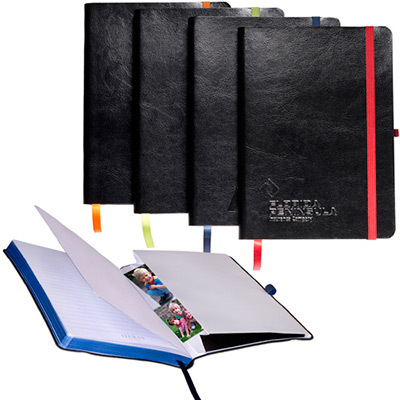 These customized notebooks come with 80 sheets of lined paper, which should last your clients quite a while. 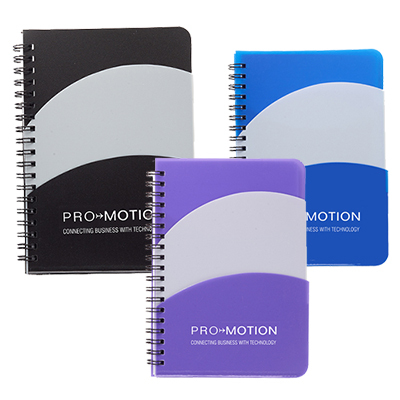 These promotional notebooks look great, and will look even better on your client’s desk. "The imprint area is spacious. " 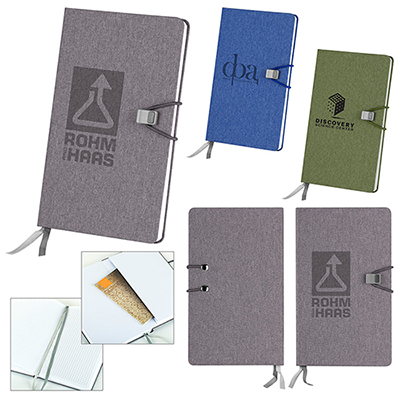 Everything you need for taking notes!